First of all, wishing you all a very Happy New Year. This is my first blog post of this year 2019 and I am so excited to share with you all what I have been loving since the last few weeks. I know I am late in sharing these products with you, I wanted to spend the holidays with my kids and if you follow me on Instagram, I mentioned there are some housework and renovations we have been doing at our home. As things are getting settled at home, it may take another month to complete though, but I was missing sharing some amazing products you need to check. 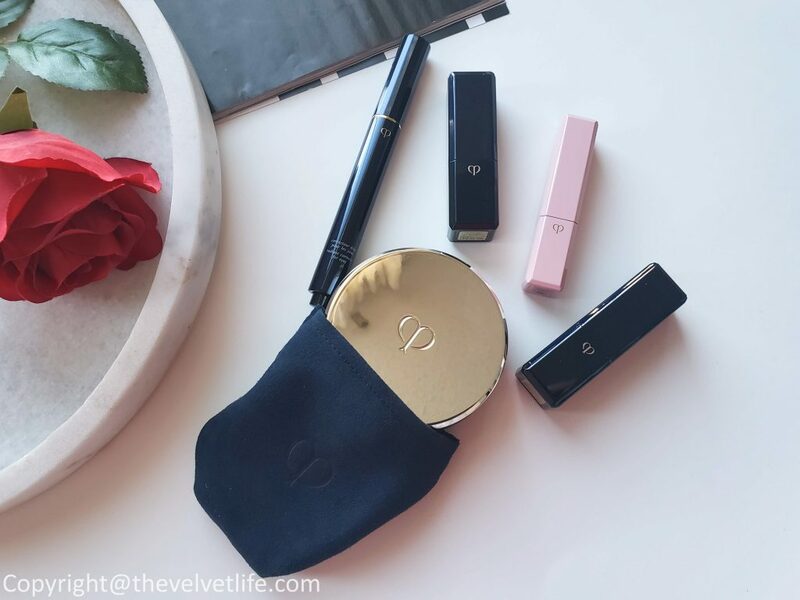 Super excited to share my first post and review of products from one of my favorite brands when it comes to skincare and makeup – Cle de Peau Beaute. Radiance and Glow are the keywords for my preference and liking when it comes to my makeup and skincare. 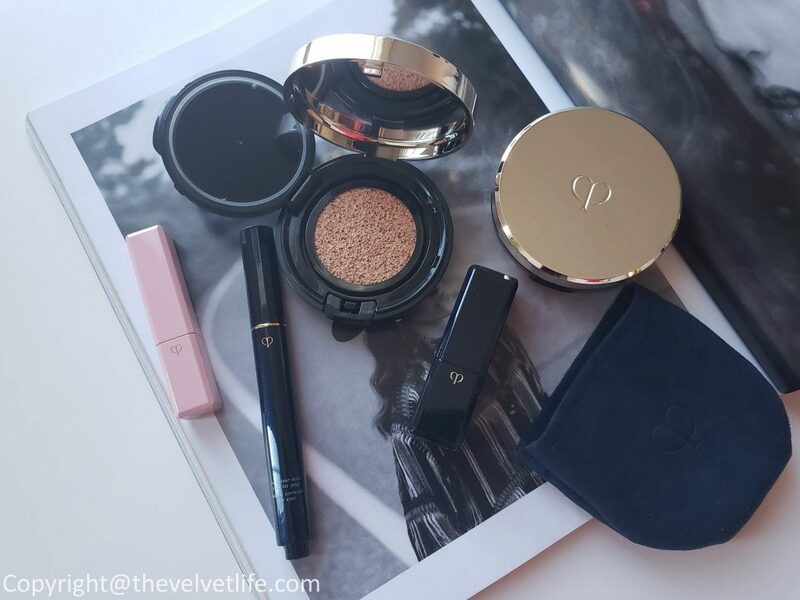 In makeup, I like a product that is multi-tasking, does not feel and looks heavy but natural, has skincare benefits, ingredients – and when it is a bundle of all my preferences, it tops my favorite’s and most-used products list. Cle de Peau Beaute Radiant Cushion Foundation is a lightweight, hydrating foundation makeup with sheer to medium coverage and a natural dewy finish. The foundation has sheer to medium coverage. The staying power is really nice, I have tested it for over 9 hours, starts fading around the end of the day. 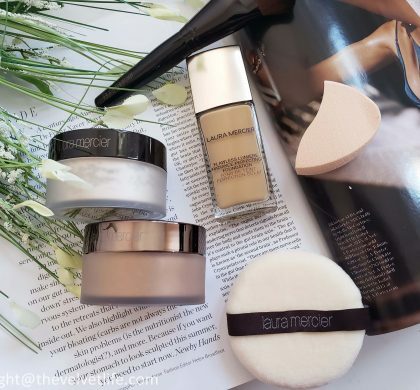 The foundation has a beautiful finish – natural radiance, works well even on my dry areas of combination skin, does not emphasize the problem areas, staying power is good, is hydrating only to the extent of dewy glow minus oiliness, comfortable to wear. 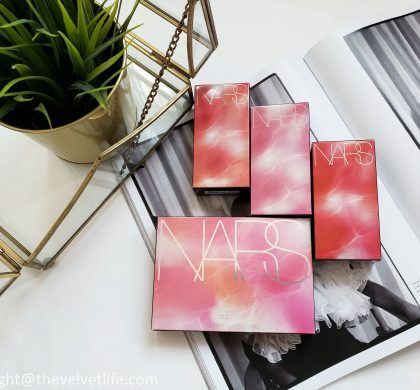 The packaging is perfect for on the go use and even on the vanity. The cushion is nice, a very soft impact is required for the product to dispense out. I have shade B20 which matches my medium skin tone with golden undertones. ‘Apply foundation following skincare or the application of a pre-makeup base or primer. Gently pat the puff onto the skin, beginning at the center of one cheek and moving to other areas until the application is completed on one half of the face. Apply in the same manner to the other side of the face. Fold the puff in half or use fingers to blend foundation over the eye area, nose, and other areas requiring a precise application. Cle de Peau Radiant Corrector for Eyes is a concealer with buildable, radiant coverage and potent skincare benefits. This new liquid formula illuminates the face by addressing visible eye area concerns instantly and over time. This hybrid product with skincare and makeup benefits is not only for the fine lines, dark circles or to conceal just the under-eyes, it works great for a brightened look, to diminish the dullness, for not just under the eyes but also any part of the face that needs natural radiance like high points of the face. The creamy lightweight texture blends in so seamlessly into the skin and is very comfortable to wear. It has sheer to medium coverage and the finish is natural luminous. 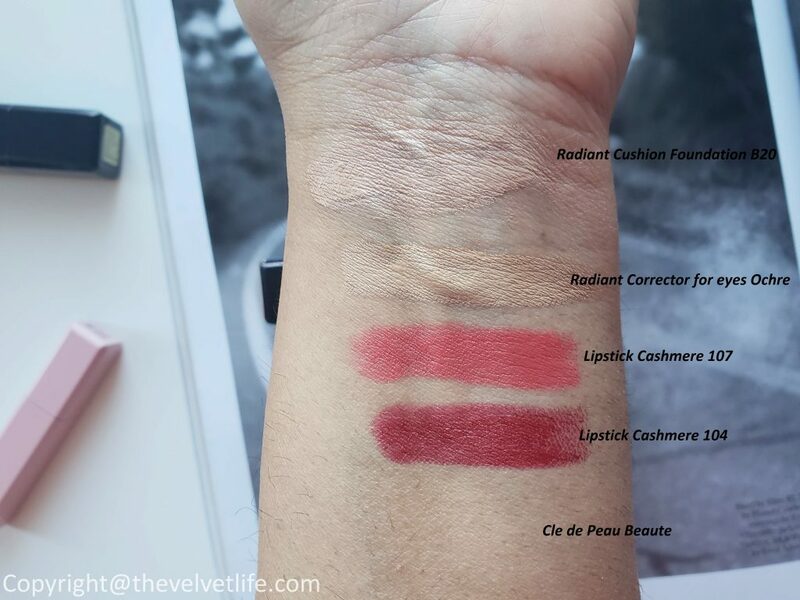 I use my fingers to blend in the products, works so beautifully. It does not give any orange or yellow cast. 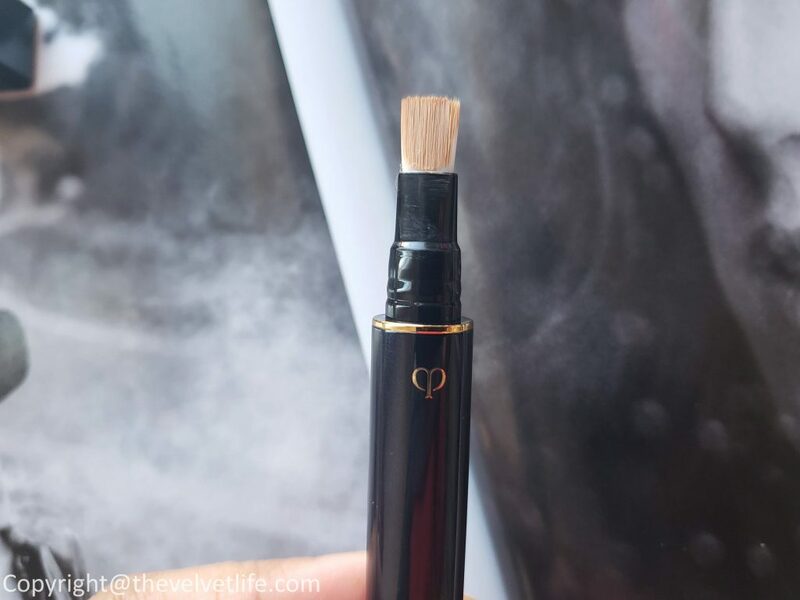 It is one of my most used concealers on the nights I did not get much sleep whether I was working or if the kids kept me awake, absolutely a must-have. I use shade Ochre and is perfect for my medium skin tone with golden undertones. ‘Concealer liquid is not specific to the eye area and can be applied to any trouble areas, as well as around the nose. On first use, click button at the end of the tube slowly about 20 times until concealer dispenses from the brush. 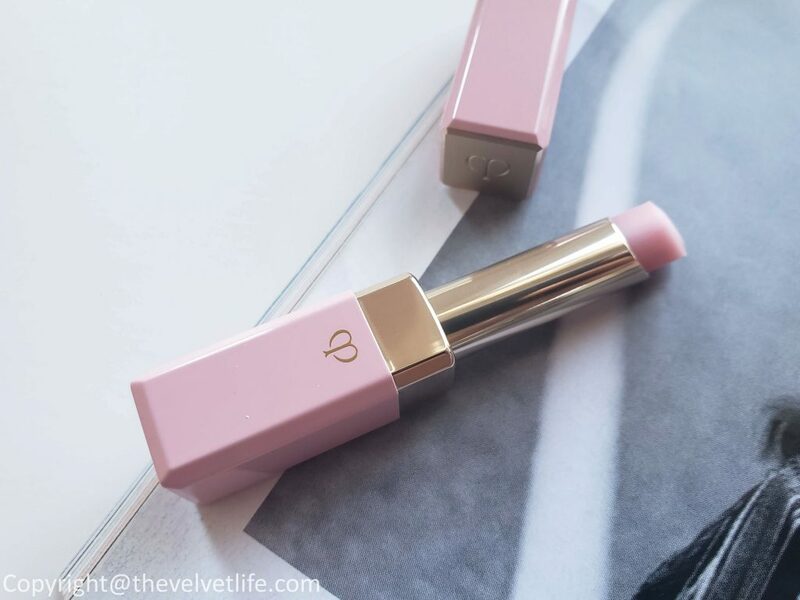 Cle de Peau Beaute Lip Glorifier is a moisture-rich lip balm that adds a hint of color in response to the moisture level of lips and shields lips from dryness with a dewy, rosy tint. It can be used alone or as a lip primer. This has been an amazing addition to my lip care products and as it is multi-tasking, works great as a lip balm as well as a lip primer/base for lipstick. 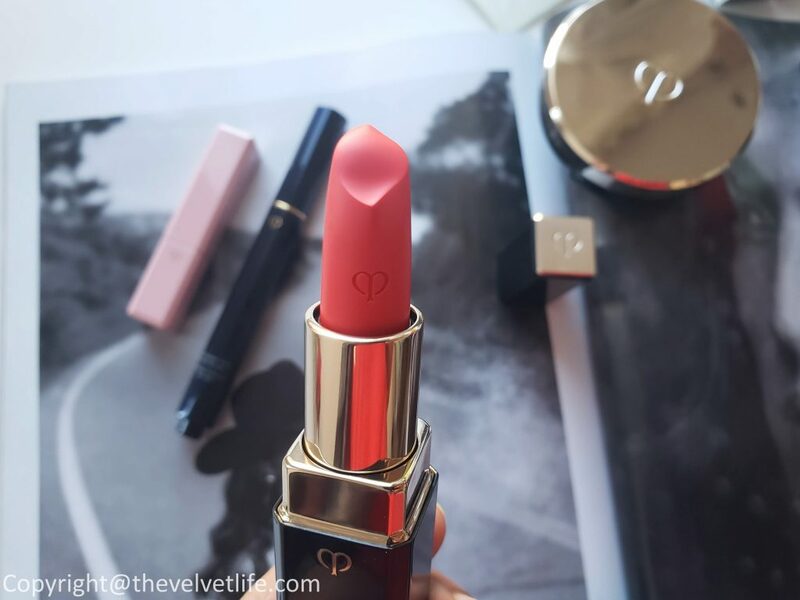 It is comfortable to wear and keeps the lips moisturized and helps my very dry lips. The packaging as you see in the picture is so pretty in pink. There is a weight to the packaging, and the brand logo looks beautiful in a golden shade. 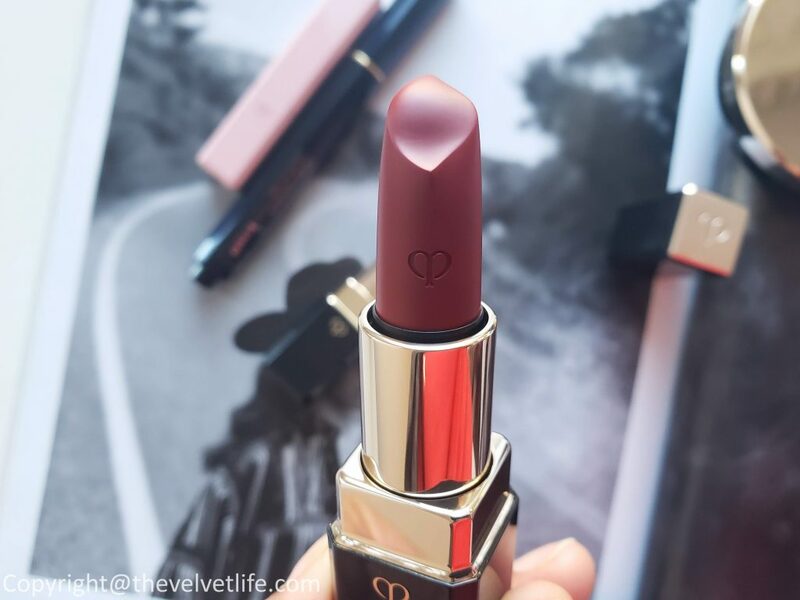 Cle de Peau Beaute Lipstick Cashmere is a lightweight, matte finish lipstick with a cashmere texture that glides on smoothly to deliver bold color with a soft, elegant radiance. The formula is said to give long-lasting moisture and helps improve the condition of lips over time. The Petal-shaped tip perfectly adheres to lips’ contours for easy application. 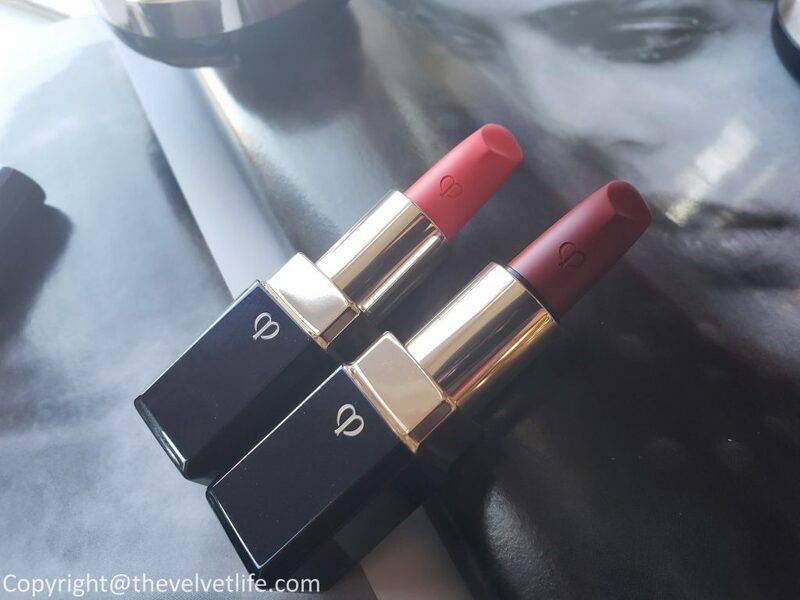 The lipstick is comfortable to wear, despite the fact that the finish is matte, it does keep the lips moisturized without making the lips feel dry and powdery. The shades available are beautiful and the pigmentation is another plus, one swipe is enough to give a nice payoff. Overall, an amazing collection of new launches worth checking out. 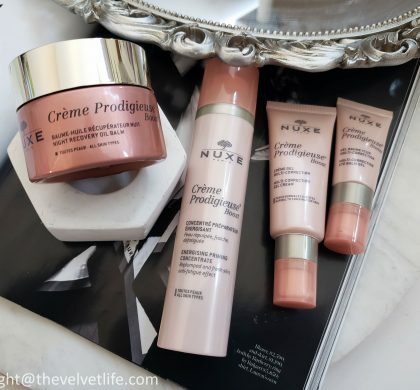 I would highly recommend you to check these out as they all are from a different category and would result in a complete look for the face which is luminous, natural, and beautiful. 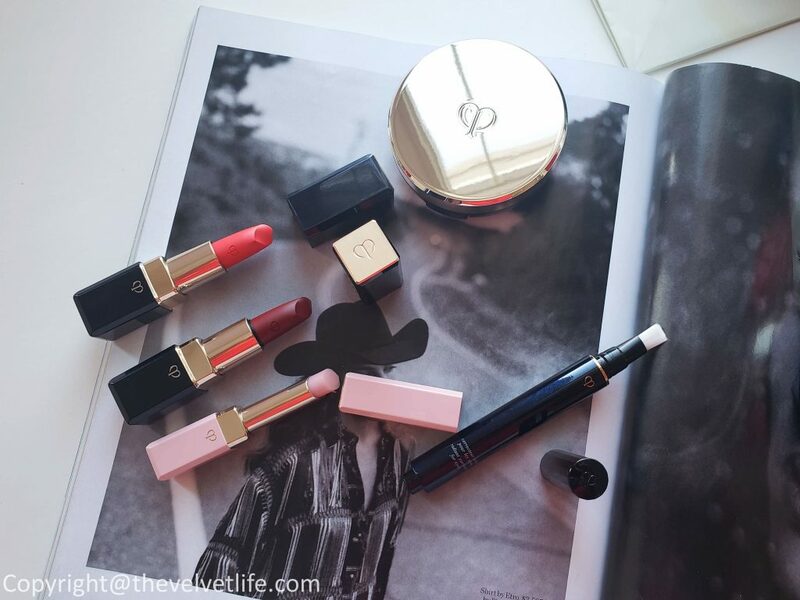 Cle de Peau Beaute products are available at Holt Renfrew, Saks Fifth Avenue, Nordstrom, and Neiman Marcus.